This is the inner circumference of the ring in millimeter. 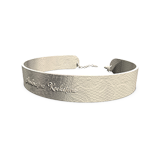 Your personalised jewel will be delivered in a unique Ambretine Koeketine gift box. 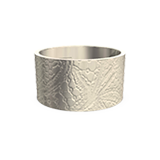 It is crafted in solid Sterling Silver and marked with our logo. We need 10 working days to make, finish and ship out your custom design. 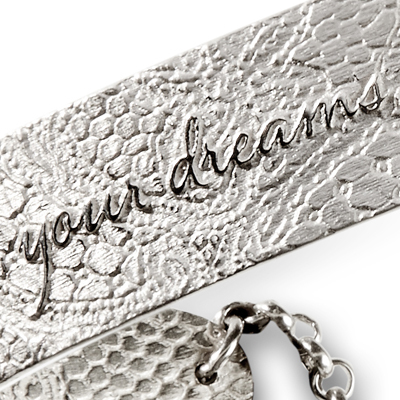 Ambretine Koeketine is a Belgian jewelry label that wants to give you that every day bliss. 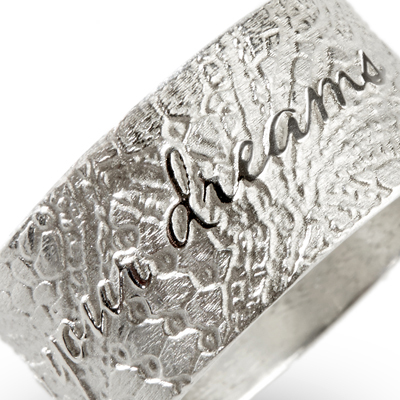 The designer, Edith Boeckstijns, is passionate about Belgian heritage, poetry and emotions and above all the love we feel and want to express. 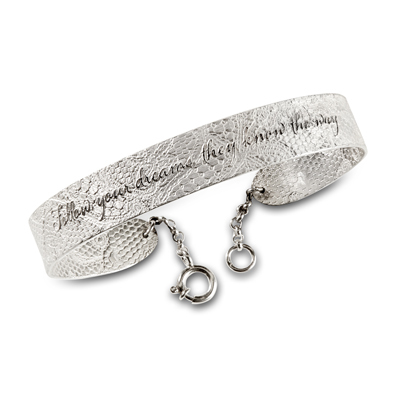 With her jewelry she wants you to cherish beautiful moments and inspires you to communicate. 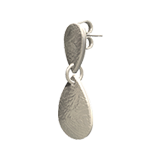 "With this new collection I want to offer you the highest quality lace of Bruges captured in beautiful silver jewelry. I believe this refined old and unique Belgian craft is worthwile to preserve and to protect. 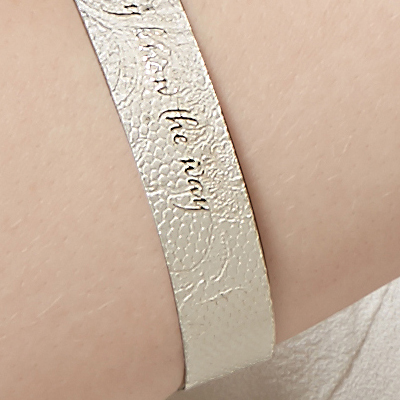 But most of all, I want to give you the opportunity to personalise your jewelry with your own words and emotions." 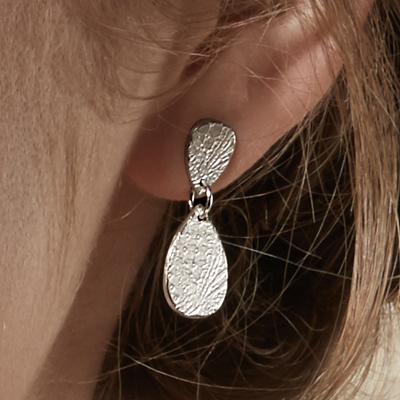 All jewelry is made of sterling silver and very comfortable to wear. 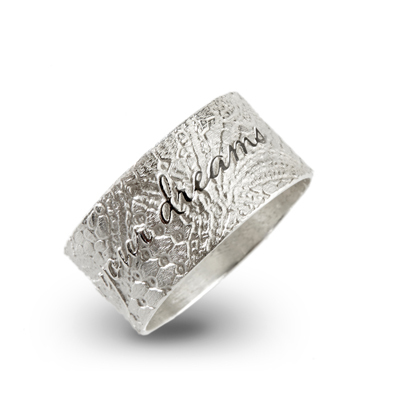 Now it is possible to choose your words or even a quote or a poems line to create your own jewelry. 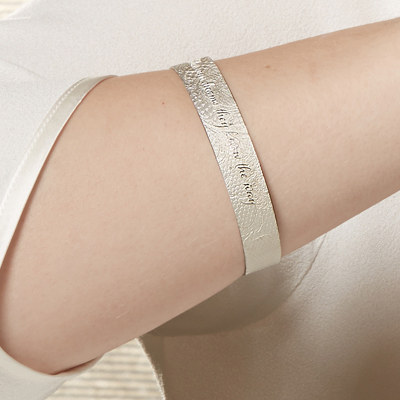 As it is personalised, it's the perfect gift for anyone you love. Every piece of old and authentic handmade lace tells a story. What's your story?